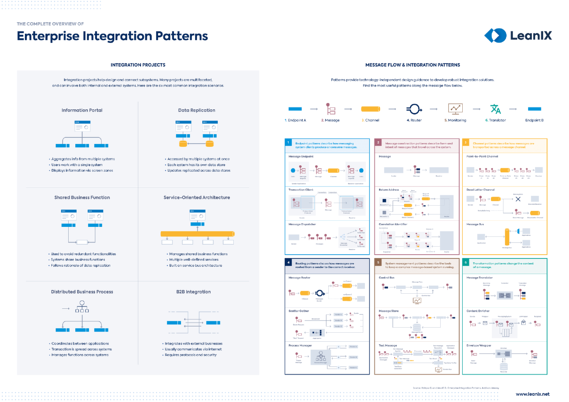 This poster gives you an overview of the most important enterprise integration patterns, message flows, and integration projects. Integration projects help design and implement integration solutions. See the most common integration projects for your IT Architecture, Business Architecture etc. Find the most useful integration patterns with the most common message flows.